The hippocampus is one of the most studied parts of the brain (the cerebral cortex) in the central nervous system of mammals. Because the shape is similar to the hippocampus, it is called the hippocampus. In the human brain, the hippocampus is mainly responsible for learning and memory. The short-term memory in daily life is stored in the hippocampus. If a memory segment, such as a phone number or a person is repeatedly mentioned in a short time, the hippocampus will be transferred to the cerebral cortex and become a permanent memory. Figure 1. The structure of hippocampus. The hippocampus is part of the limbic system known as the hippocampal region. Hippocampus can be divided into: dentate gyrus, hippocampus, subiculum, presubiculum, parasubiculum, and entorhinal cortex. 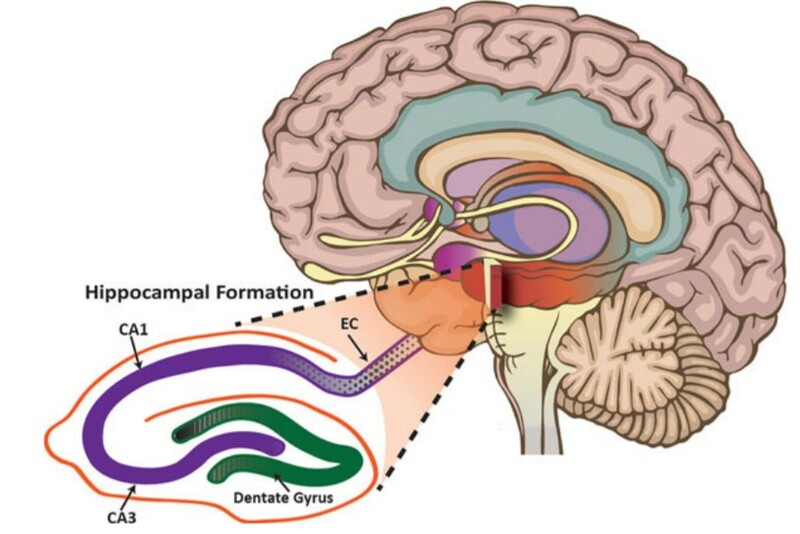 The cell layer of the dentate gyrus, hippocampus, and lower tray is a single layer, collectively referred to as a hippocampal formation. A low cell density layer and a cell free layer are sandwiched between the upper and lower sides. The other parts have a structure of plurality of layers. The function of the hippocampus is to control the recent memory of human beings. It is a bit like the memory of a computer. It will keep the memory in a few weeks or months, so that the body can quickly access the memory. The memory in the hippocampus is actually the connection between nerve cells. However, storing or throwing away certain information is not a conscious judgment, but is handled by the hippocampus in the human brain. The hippocampus acts as a conversion station in the process of memory. When neurons in the cerebral cortex receive various sensory or sensory messages, they pass the message to the hippocampus. If the hippocampus responds, the neurons will begin to form a lasting network, but if this mode of recognition is not passed, the experience received by the brain will disappear without a trace. The short-term memory in daily life is stored in the hippocampus, so people with more developed hippocampus will have a stronger memory. If the information stored in the hippocampus is not used for a period of time, it will be “deleted” by itself, that is, it will be forgotten. The information stored in the cerebral cortex is not permanent. If you do not use this information for a long time, the cerebral cortex may “delete” this information. Some people have lost some or all of their memory after being injured in the hippocampus. It all depends on the severity of the injury, that is, whether the function of hippocampus is partially lost or completely lost. The study found that the relationship between hippocampus and seizures is also closely related. Because the hippocampus has a low threshold of seizures episodes in the brain, the onset of almost all epilepsy patients is initiated by the hippocampus. Like this type of hippocampus-based episode, there are many cases where it is difficult to treat with drugs. In addition, a part of the hippocampus, especially the entorhinal cortex, is the first place where Alzheimer’s disease produces lesions, so Alzheimer’s disease is characterized by memory loss. Because the hippocampus is vulnerable to anemia and hypoxia, it is often accompanied by amnesia during cerebral lesions.